Aussie English for Beginners is a book produced by the dictionary people at the Australian National University. The link takes you to further links. Worth a visit for non-Australians planning a trip to Australia. Or those Australians who relish creative turns of phrase in traditional Australian vernacular English. 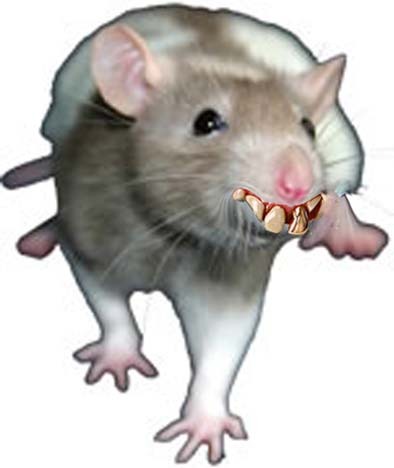 This picture was inspired by one such turn of phrase: "As flash as a rat with a gold tooth". The meaning of this simile should be obvious. However, if it isn't... let's just say that this particular rat has tickets on himself.